Burning Man 2015 was held from August 30 to September 7, 2015. This year was a success by any standard, with an estimated 70,000 people attending the event held in the desert of Nevada. On the bright side, the festival continues to increase in visibility and participation, leading to hopes that its participants will be able to bring about some element of cultural change during the other 51 weeks of the year. The Burning Man festival is a time dedicated to establishing strong community ties, encouraging artists to let loose their creative side, and emphasizing self-reliance leading to a “greener” society that has a smaller environmental impact than the one in which we currently live. One basic theme of the event is that participants will “Leave No Trace” of their time there, taking with them all trash or other detritus which accumulates over the course of the festival. As a pinnacle of the event, a large effigy of a man is set alight on the last evening. This year, as has come to be expected, the artists were simply outstanding. From cars disguised as desert islands (and many other things!) to costumes straight out of the pages of a fantasy magazine to neon-lit bicycles to 12-foot steel sculptures spelling out mantras; the event was chock-full of great ideas and explosions of creativity. However, the event was not without its detractions. A Quiznos commercial parodying the festival drew the attention of Burning Man organizers. One of the primary themes of Burning Man is the thought of decommodification, or the idea that primary necessities of life—such as food—is something that people are entitled to and should not be commercialized. Thus, for Quiznos to attempt to market its sandwiches using the Burning Man as a selling point runs contrary to one of Burning Man’s main principles. As of this writing, Burning Man organizers were mulling legal action against the sandwich chain for, among other things, intellectual property theft. In spite of this minor issue, however, the Burning Man festival was a visual eruption of creativity and the organizers feel it can be added to the long list of Burning Man successes. Some of the attendees spared no expense in the construction and creation of elaborate tents, vehicles, and living, moving art displays. The festival drew more than a few well-known attendees. This year’s festival was notable for the presence of Katy Perry, Susan Sarandon, Jared Leto, P. Diddy, and the CEO of Cirque du Soleil, among others. In years past, other well-known attendees have simply walked through the crowds wearing a mask. One interesting trend is the development of “turnkey” camps for those who wish to attend, but who may not be able to take the required time from running their jobs or businesses in order to create their own camps. While the Burning Man festival is a celebration of creativity—and one of the major ways for participants to show their creativity is to build their own camps—it can also be enjoyed by those who are simply unable to take the required time to spend creating their own camps. While there was initially some resistance to the emergence of the “turnkey” camps, Burning Man attendees are beginning to accept and embrace those who choose to attend in this manner. If you are interested in attending the festival, but don’t feel that you can commit the amount of time required to design and build your own camp, you may consider looking into a turnkey camp. If you are unsure how to go about contacting someone to design and build your camp for you, high-end brokerage Luxury Big Island by Harold Clarke is well connected and able to help you connect with the right people to ensure that your Burning Man experience is every bit as vibrant and enjoyable as it is for those who are involved from start to finish. 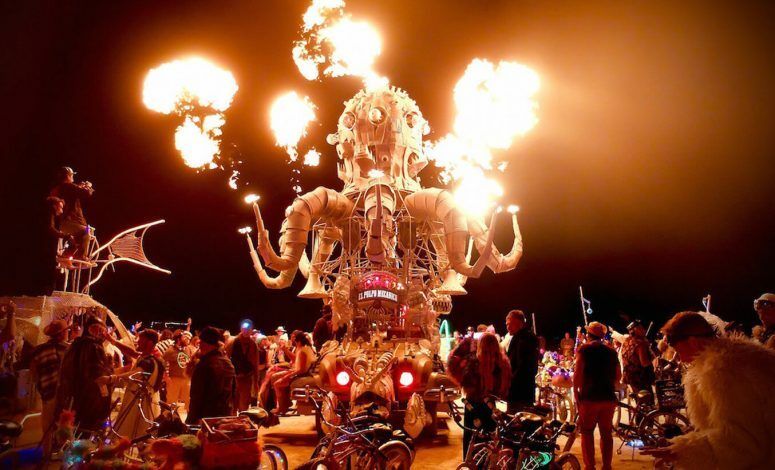 All told, participants and organizers alike felt that Burning Man 2015—like the events before it—was a great success and well-worth the challenges of attending, and this trend will likely continue into 2016 and beyond. If you have never been to a Burning Man you still have plenty of time before next year’s event to prepare your costume!